Here at Racketboy.com, we don’t often talk about LCD games. They’re not really under our purview, so to speak. But they do have a solid relationship with video games, and in some cases, this bleeds over into definite video game territory. Sometimes it’s as simple as a character appearing in a game(Game N Watch in Super Smash Bros. Melee, anyone? ), but in a few others it forms a weird hybrid area which fans of both might appreciate or shun. 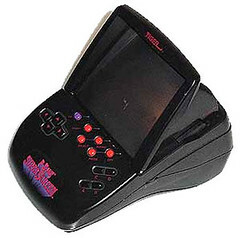 The R-Zone is one of those hybrids, created by Tiger Electronics in the mid-1990s as a cartridge-based LCD handheld. It was the first of two handhelds from the company, the second being the Game.com. Add in Tiger’s access to many video game licenses, and you’ve got some interesting title choices for their little machine. So sit back, relax, and enjoy taking a moment to learn about Tiger’s strange little red-tinted toy. The R-Zone was first released in 1995 from Tiger Electronics. It was marketed as a virtual reality device. This, along with its red color scheme for games, has led some to believe the R-Zone was meant to compete with the Virtual Boy. 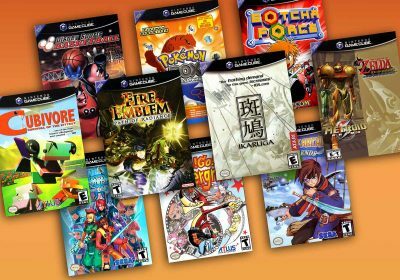 Despite several revisions of the console, heavy marketing, and a game library featuring LCD versions of such titles as Battle Arena Toshinden, Men In Black, and Area 51, the device sold poorly. In 1997, production of the R-Zone was ended, just in time to be replaced by the Game.com. Despite manufacturing LCD games for years, the R-Zone was Tiger Electronics first real attempt to create a cartridge-based handheld, though they kept their LCD technology. It is believed that Tiger designed the R-Zone specifically to rival the Virtual Boy. But the R-Zone would end up competing against Game Boy, Game Gear, and other handhelds. The R-Zone did poorly, but Tiger continued its attempt to make headway in the market, and released the Game.com two years after the R-Zone’s release. Hardware with varying designs allow collectors to pick which way they feel is the best to play. 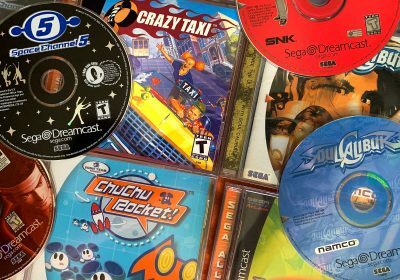 Tiger was able to pull from its vast array of licensees, allowing for some interesting choices of games based on movies, sports, or other popular game series(including Virtua Fighter (and and Mortal Kombat) . Fans of LCD games, much like Tiger’s earlier works, will likely enjoy that the R-Zone played glorified LCD games. Each model came with a different pack-in title and came with an insert to protect the system when no game cartridge was inserted. The console retailed for a low price, just slightly higher than most Tiger Electronics LCD games. R-Zone games were all designed to appear as red outlines, which can be difficult on the eye. Two of the three R-Zone models used mirrors to reflect game images, so they must be viewed at very specific angles. There are no multiplayer titles for the R-Zone. Despite featuring built-in speakers, here are no headphone jacks for use with the R-Zone. 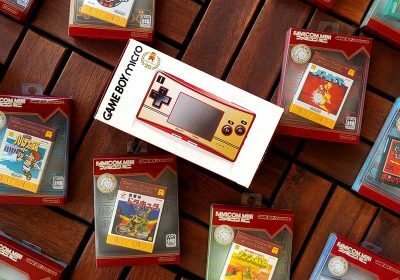 Players wanting something more than LCD games will likely be sorely disappointed. Though Tiger pulled from its many licensees, gameplay really only changes based on the genre of the game. The LCDs for R-Zone games were actually pre-drawn and built into the cartridges. The R-Zone did little more than use light to project these images onto a mirror, so the player could see the action. The R-Zone speaker outputs in mono. Color overlays were released for use with certain games, similar to the Vectrex. The Super Screen model came packaged with a replacement lightbulb. The R-Zone Headgear straps to your head via the headband, and has a polycarbonate screen that hangs down over the player’s right eye. A speaker and cartridge slot are built into the headpiece, while another controller slot is built into the controller, which is permanently attached to the headpiece via a chord. The R-Zone Super Screen is a tabletop revision, with an adjustable mirror, so the angle of the screen can be changed. It is the only model that enabled the use of colored screen overlays. The D-pad was also redesigned as four separate pieces, and this was the only model to directly backlight the games, so no mirrors are involved. The R-Zone Xtreme Pocket Game’s(XPG) design is closest to the traditional handheld. Game cartridges were loaded in the front and projected back onto a mirror. There are no known emulators for the R-Zone. There is also no homebrew community. This my be one of the crappiest “consoles” I’ve ever seen but it’s awesome in a cheesy 90’s kind of way. Is this going to be added to? This looks like an interesting bit of tech at least, and I’d be interested to see any screenshots, lists of games, etc. Anything that might lessen the mystery around the device. Also: on the Super Screen, you say it has an adjustable mirror, then two sentences later mention it not having any mirrors which is confusing to say the least. As always though, great article! 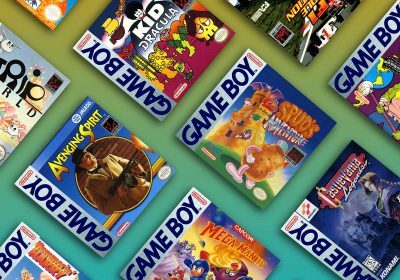 I love these 101 articles, really helps out with the more obscure consoles. Well if anyone has anything to add, they can let me know and I can plug it in. R-zone was a complete piece of garbage and I am really surprised that you wrote something about it. What is even more amusing was that you wrote a “strengths” section considering it had no strengths. Although I suppose it does have a place in video game history, although I am unsure if I would consider it one. Yeah, I don’t think anyone here is recommending that everyone go out and buy one. It isn’t as terrible as some would make it sound, but the fault was a lack of inventiveness in the games. No thinking outside the box. Game.com was a much bigger leap forward, but still had the same problem. Stuff like this is exactly why Racketboy is the best videogame website, period. 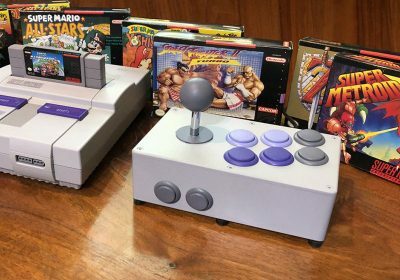 A really well written article shining a little light on a weird and obscure “console.” Articles like this are why I keep coming back here. Thanks for a very nice article! Just like Lokkenjawnz said it would be nice with some screenshots. A quick google search doesn’t give many real screenshots. One interesting thing about this console is that there was a Panzer Dragoon game made for it, which is most likely a hell of a lot rarer than Panzer Dragoon Saga. That is pretty true about the rarity thing. thats a good point, but i thought it was rather obscure that the system even had a pd game. I’m really glad there is an R-Zone article now. 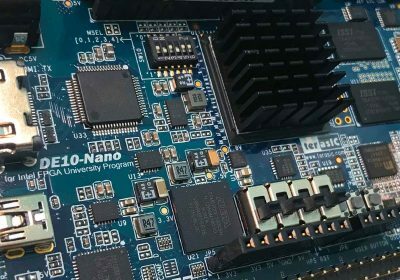 It’s one of the systems I was always really curious about, but have never experienced. I would love to see this fleshed out a little, but I guess there aren’t too many people out there with real play experience with one. Company Tiger Electronics created many great LCD game translations of popular 8/16-bit games during the latter 80’s/early 90’s.However,when the Gamecom & R-Zone systems arrived on the scene they were simply outclassed by Nintendo’s Gameboy and Sega’s Game Gear & Nomad systems. It’s cord not chord. A chord is three or more notes stacked on top of each other that are played at the same time. HIS POWER LEVEL IS OVER NINE THOUSAAAAAAAAAAAAAAAAAAAAAAAAAAAAAAAAAAAAAAAAAAAAAAAAAAND!!! I owned both a R-Zone head gear and XPG…..well I really wanted it at the time, and my parents refused to let me get a Gameboy or Gamegear so the R-Zone was the closest thing. It cost $30 for original head gear unit and the games were usually under $10 each, and later sold dirt cheap on clearance. I think the XPG was slightly more expensive, like $45 or so. The head gear unit I thought was going to be really cool because they really marketed it hard. I saw countless commercials for the R-zone, which as a kid made me really excited to play it. 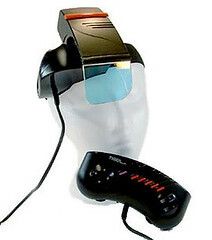 It really did look futuristic and remember this was a time when “virtual reality” was the latest craze. The reality of the head gear unit was that it was a chore to play. You basically had to close your left eye while playing, or play in a dark room. It was too hard to focus with only one eye and just felt weird. You could slightly see through the flip down screen so again, playing in a dark room was ideal. The actual gameplay was next to worthless, because it was just like all the other Tiger LCD games, only in red and black. This was VERY disappointing to me when I realized that, because the commercials made it look like there was intense action in the gameplay, and made it look like there was at least some immersion. But no, this is the exact same tech in the cheap LCD games. All the games were virtually the same and just had different names. I remember the best game I had was mortal kombat which played out like a regular fighting game, but the punches/kicks/specials were all pre-drawn canned animations that played one or two frames to show the move and then the characters that got damaged would blink a few times. Hopefully this is adequate to show you the games were nothing special and mildly entertaining at best. If you are any older than 10 years old it was probably no fun at all, but the coolness of the headgear and the commercials made it tolerable and even somewhat fun back then. 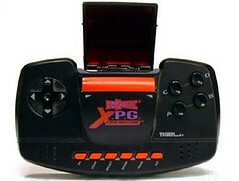 The XPG was better for portability and generally not looking like an idiot in public. I remember taking it on an airplane and playing it most of the way – again, parents wouldn’t allow me to get a Gameboy at that time so I had to make due. The XPG’s screen was kind of unique – when you’re not playing it folds down into the top of the unit, so the reflective part of the display is protected and the unit is more compact and can fit in a case easier. Then you can flip the screen and pull it out slightly when you want to play, and the game is projected onto the screen from the cartridge window, similar to how the old projector arcade cabinets worked. That’s why it looks so bizarre in the screenshot, if you were to rotate the image you would see that the actual screen of the XPG is about 2 inches back (i.e. 2 inches closer to the floor, if you’re holding it in your lap) from the face of the unit where the buttons are. The screen itself was not the same as the headgear, it was essentially a red-tinted mirror, most likely to diffuse the red light being projected from the LCD cartridge. The speakers were average and the sound was unimpressive but I remember it getting sufficiently loud, probably somewhere in between the Gameboy and Gamegear max volume. Overall I was pretty disappointed with those consoles, and rightfully so. But they are still fun little memories that I look back fondly on. My brother dug out his old one and gave it to my 6 year old son, he loves the thing! Even though he’s used to playing the PS3 and PSP, he still thinks the R-zone x.p.g is brilliant, he brought it to school and all his friends were fighting over who could have a shot, He wants me to find more games for him because he only has the star wars one, not going to happen!